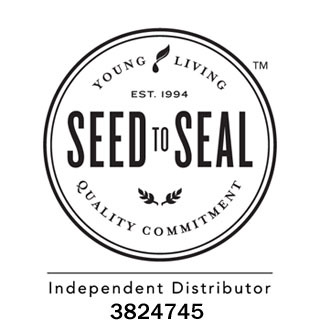 If you want to purchase Young Living Essential Oils, you need to order through a member. You can become a member yourself and get the oils at 24% off. Once you buy your starter kit you are never required to order a certain amount each month. You are never required to tell others about Young Living. You are never bothered by people to work this as a business. You simply are now able to purchase at the discounted price. The initial kit comes with 11 oils and a diffuser for $160-$260 depending on which diffuser you choose. 5ml bottles of Frankincense and Panaway oils that are in this kit cost more than $150 alone. So it’s a super deal to be able to take them for a test drive. When signing up for the oils they will offer you a choice to join a monthly ship program. By all means, you don't have to join. My advice would be to get your kit and use the oils. If you find you are using a specific amount or the same oils monthly then you can sign up at any point in time if you desire. The monthly shipment comes with lots of extra potential for free product but give yourself a chance to fall in love and then you can decide. Here you will start to fill out your information. Make sure you leave the “member” button clicked so that you can get your discount and make sure that the SPONSOR ID and ENROLLER ID boxes say 3824745. Fill out all your information and select your kit (My favorite is the Rainstone Ultrasonic Diffuser). It asks for your SS# but don't freak out. It is because you now have the capability to turn this into a business ONLY if you desire to. They are required to get that to pay you. You never know, your friends may want to order from you one day and then you can get your oils paid for! Just remember, there is no pressure. Create your pin and password (this is the number you need for help online). DONE! Please email me at wildflowerwest@yahoo.com about it and let me know the good news! I’d love to hear it.